The DASH ecosystem is going through some very interesting moments, especially in Venezuela, when recently there was a kind of “battle of stats” that presented two different realities concerning the real adoption of this cryptocurrency in the Latin American country. It is important to note that DASH has a strong presence in Venezuela and is one of the most traded cryptocurrencies in the country. A recent survey by Dash Merchant Venezuela showed some fairly optimistic results regarding the growth of the Venezuelan Dash ecosystem. Based on publicly available data, about 2500 Venezuelan merchants accept Dash. This means that DASH has a stronger presence in Venezuela than in any other country. According to a report by Dash Merchant Venezuela of currently, 2158 merchants use that cryptocurrency as means of payment. However, a report published by Mr. Edward Stoever concluded that these figures are far from reality. The results showed that according to a survey of 299 merchants, only 27% accept Dash. The report shows a series of contradictions in the information that Dash Merchant Venezuela provided to the community. Not only were there merchants who directly denied accepting the crypto, but most of them did not exist, could not be found or did not respond to the pollsters. The Dash Merchant Venezuela team responded to Mr. Stoever’s accusations with a report in which they analyzed the errors in the methodology applied by the study conducted by Stoever. They also attached videos proving that some businesses listed as unreachable by Stoever were actually locatable and accepted Dash. We were able to provide status to 60% of the merchants that the report specifically stated could not be contacted. This means there is only 32% with the “could not be contacted” status rather than 60.52% (as claimed by the survey) and 8% pending for contact. 14% of Merchants listed correspond to Dash Venezuela initiatives and should be excluded from the analysis. Only 6 of the 15 days when the survey was carried out were working days (due to blackouts, public holidays). This may have had a material effect on the ability of the surveyors to contact/locate the Merchants sampled during this period and therefore invalidate the findings presented in the Survey. 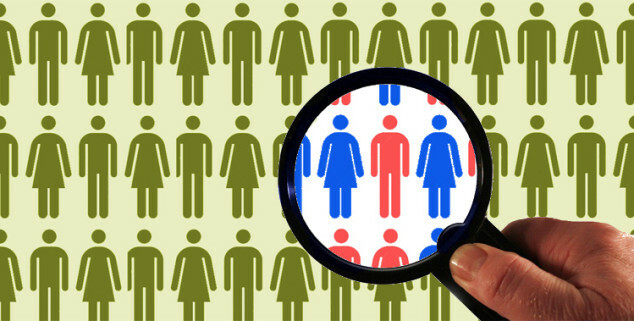 At the very least, such a large discrepancy in the number of contactable Merchants demonstrates that there is a major problem with the methodology of the surveyors in the report produced. Faced with these accusations, Mr. Stoever issued a new report explaining that although the Dash Merchant Venezuela team was able to locate some merchants, they could not prove that they accepted the crypto, so it could not be said that the study yielded imprecise data. “My concern is that we – Dash – are not telling the truth when we say there are “2,500 Dash merchants in Venezuela”. 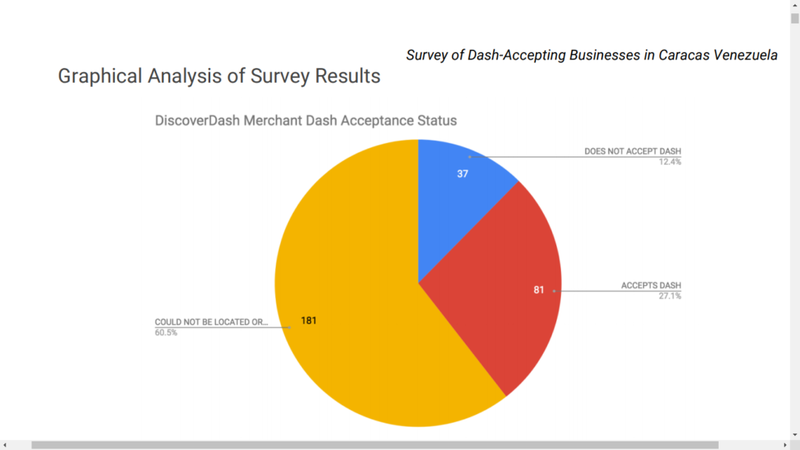 Post-survey, even DMV now only claims that 41.14% of the surveyed merchant count accepts Dash. My suspicion is that the true Venezuelan merchant count is likely lower than 1,000, and maybe as low as 326. Dash Merchant Venezuela has been unfunded since January 2019. The organization has been accused of providing fake data in other audits (something they claimed to do to protect members from insecurity). Currently, DMV has a new head, and they expect a different funding proposal to be approved soon.